For many years now, EVE Online developers have emphasized their intent to give players more control over every aspect of life in New Eden. At every Fanfest and local player gathering, CCP devs unwaveringly declare that “the players are the story in EVE Online”, and that it therefore follows that players must have more control over production, markets, politics, combat and every other aspect of capsuleer existence. Over time, more game mechanics have been transferred to players: invention, planetary interaction, customs offices and structures are just a few examples. With the release of citadels in the next expansion, the potential for eventually doing away with non-player character (NPC) operated stations becomes an obvious and perhaps inevitable direction, in the spirit of transferring yet more burden for in-game content creation onto the backs of the player community. Invariably, players cheer – quite literally and enthusiastically – developer declarations of player empowerment. They believe that more direct control means more options within the game, and more ways to stake out a significant part of the unfolding story of New Eden for themselves. But is increasing player control always a good thing? Is unrestrained player empowerment the best direction for EVE Online, or is it just lazy game design? In EVE Online, this is exactly what happens in the missioning system, and is a principal reason why player-vs-environment (PvE) gameplay can quickly become repetitive and boring. Other than potential effects on standings – the risks of which can be mitigated by choosing how often to accept missions and for whom to run them – there are few significant cause-and-effect ripples for interacting with NPCs in New Eden. Practically, most players can simply ignore their relationships with NPC factions. Other than gaining access to higher-level mission agents, there are few implications from NPC interactions on how players operate, even in Empire space. Capsuleers may roam freely in high-sec, as long as they maintain acceptable security status (or just travel in a pod), no matter how many of a faction’s ships and crew they have murdered in the past. One way to do this is to significantly raise the stakes of capsuleer actions against a particular NPC agent, corp or faction. For example, you may have the standings to fly in a faction’s space without their navy or patrols attacking you, but an unhappy NPC agent, displeased with your mission rejection or performance, might seek personal retribution by contracting with NPC mercenaries or bounty hunters to follow and harass you. Currently, only players may issue bounties on other players, but if that option was also a possibility for NPC agents, it would make PvE decisions more interesting to evaluate. NPC agents should not feel like they are generic and interchangeable. To feel real to a player, NPCs should exert their own individual wills, and pursue their own agendas, and thereby make more impact on players’ decisions in the game. CCP Games has recognized the potential for improving NPC behavior, and devoted development time and resources towards doing so. At Fanfest 2015, CCP Frellicus presented a session on more adaptive AI for NPC ship actions. This new AI made its debut with the Drifter Incursions, but CCP soon recognized that they were not operating as expected, and suspended them for further revisions. At this time, it’s not clear what the plans for more sophisticated AI for NPCs in space will be. CCP Affinity has said that improved NPC interaction is in the cards for future development. New NPC ship AI is the first step, and an important part of a revamped PvE missions system, but no definitive release plans have yet been made public for this. 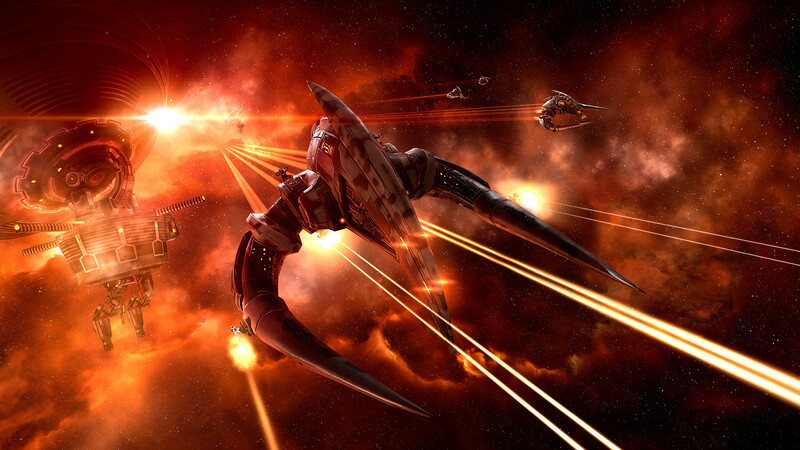 She and other devs – such as CCP Ytterbium – have stated an intention to model NPC actions more realistically in space, and provide more opportunity for players to interact with them in useful ways, such as possibly shipping small-sized courier jobs for players, or contracting NPC piloted ships for fleet support duties. CCP Affinity has also said that the current standings system is in line for a significant overhaul. She has stated that players should not be able to be friendly with every faction, for example. Players will need to make more careful choices about what factions they want to align with, and where they can fly unimpeded as a result. The current standings mechanics are relatively simplistic. Taking missions from an NPC agent raises standings with them, their corp and faction, while reducing standings to a lesser degree with opposing factions. This leads to “grinding missions” repeatedly in order to achieve higher standing and thereby unlock access to more lucrative agents. By selecting the right missions, a player can theoretically develop positive standings with every faction under the current system. CCP Affinity’s idea is to make this impossible, and force players to make more careful choices in what factions they want to align with, and thereby develop NPC enemies at the same time. One way to accomplish this is to add more granularity to the current standings system. All factions include sub-groups like NPC corporations, government agencies, divisions or tribes, and all of those have complex levels of relationship with other sub-groups, even within their own faction. The mega-corporations in the Caldari faction, for example, compete aggressively with each other, so running missions for one should affect standings with the others. Expanding the standings effects table to include inter-relationships between sub-faction groups, or perhaps even between individual NPC agents, would make player decisions about whom to ally with more nuanced and interesting. In addition, including a much wider range of player actions in calculating standings changes could also make player decisions and actions more important. Taking out Angel Cartel anomalies in a Minmatar-controlled system, for example, might improve relations with the Minmatar military and government. Conducting trade in a Federation Navy station could cultivate some favor with that Gallente entity. Providing more options for affecting standings with NPC entities in the game beyond just exploding little red icons gives players more interesting choices, while also creating significant consequences for more of their actions. While it could be a daunting undertaking, changing how individual NPC agents act and react in a more realistic fashion would also add a whole new dimension of player engagement in the game, and open many more possibilities for players’ story development. As CCP Games experiments with more adaptive and sophisticated artificial intelligence for NPC ship actions in space, it could also apply a similar AI to the behavior of NPC agents. Rather than just being dispensers of pre-configured mission assignments, NPC agents’ interactions with players could be driven by a wider multitude of variables, as well as by the agents’ individual goals. Every NPC agent should have their own story, and how much of that story an NPC agent reveals may vary significantly between different players. 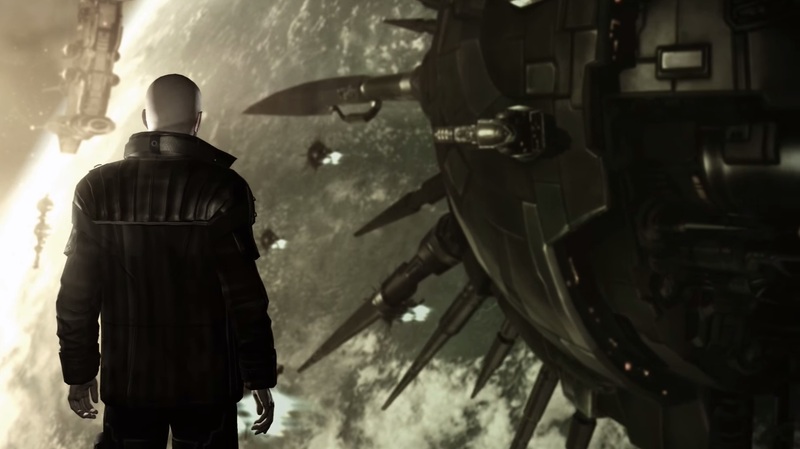 The experience of one EVE Online player with a particular NPC agent might therefore be far different than the experience of another player, depending on their relative standings and prior actions. Increasing NPC agency also opens an opportunity for altering the dynamics of life in high security space so that players are encouraged to migrate to other types of space. 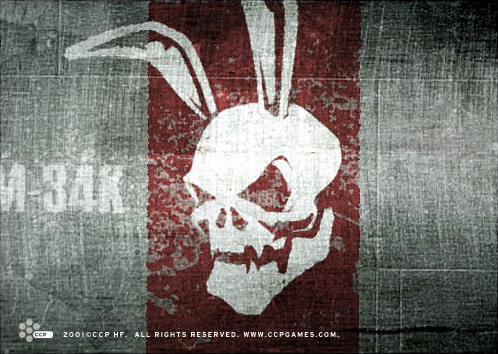 Currently, according to statistics provided by CCP Quant, over 70 percent of players operate in high security space. Many denizens of null-sec, low-sec and w-space have suggested that this is unhealthy for the game, and that players who have grown too comfortable in high-sec need to be pushed towards more dangerous space. The most common suggestion for doing this is to make rewards in high-sec less attractive, and therefore “force” players to migrate to less secure space. But there is a potentially better way – incent players to emigrate out of high-sec by using increased NPC agency to slowly raise the risk level of operating in Empire space, and thus make it relatively attractive to move. By adjusting the standings system, and providing NPCs with the ability to react more punitively against players who offend them, players who repeatedly take aggressive actions in high-sec will eventually need to operate elsewhere. In essence, players themselves could make high-sec as risky as any other space by their own actions and decisions, and by how NPC agents react to them, and therefore would have little incentive to remain in high sec, as it would no longer be “safe” space for them. By incrementally increasing limits on players’ freedom from consequences, and providing NPCs with more agency over player actions, more players will eventually find moving out of high-sec an attractive alternative. Many CCP devs have openly described their intention to make Factional Warfare a four-way conflict between the major Empire factions. It is simply a question of time before this happens. How it will be handled in the lore of the game should be very interesting to witness. I’ve speculated before about the potential for fragmenting Empire space, in a previous article, and it appears that at least some of those ideas are coming to fruition. Changing Factional Warfare to a four-way conflict would provide players with more opportunity to get into PvP, because the inter-faction fronts would all double in size. The potential for giving more NPC agents the wherewithal to recruit capsuleers into the greatly expanded war zone could result in a significant increase in players trying more aggressive aspects of the game. At the very least, I think we can expect to see more visibility of NPC entities in Empire space, including a stronger naval presence. For example, I’ve always wondered where the Empires keep their titans and supercapitals – why don’t we see them in Empire space? We can also hope to see smarter AI applied to NPC faction vessels, and actual fights between NPC entities (e.g., faction navies vs. pirate ships in asteroid belts, or fights between rival faction navies in border systems, etc.). These would all be good things, as they would make high-sec feel more densely populated and dynamic, as it should. More player control over game mechanics is generally good, but it must be balanced against more dynamic NPC agency, or else players become solely dependent upon other players for content creation. As coalitions in null-sec have demonstrated (at least, before the start of the recent war), this can lead to stagnation when alliance leaders become more concerned about protecting their assets than they do about risking them in significant fights. Providing NPC entities in the game with a more active role, by giving them more agency and intelligence, can help to shake up the status quo and break player complacency. NPC actions – such as massive Drifter Incursions, for example – could provide this kind of intervention anywhere, not just in Empire space. Players’ actions should not be determined solely by reacting to other players, but by reacting to the wills and desires of NPC entities as well. Unlimited player control does not always lead to optimum gameplay. By giving NPC’s more agency, and more opportunity to exert their own agendas in the game, capsuleers would have to share their power in New Eden, and make more careful decisions about what actions they choose to take. Balancing player power with NPC agency would provide more potential for engaging in more interesting stories in EVE Online, and more entertainment value in the game.